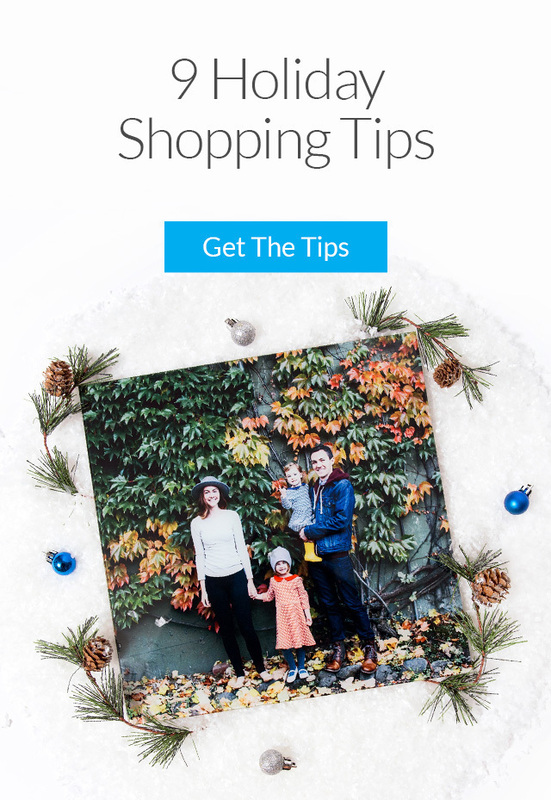 Kick back, relax, and save a bunch this holiday season with these shopping tips from Fracture You’ll lock down the best days to skip the rush, plan ahead for shipping deadlines, get inspired by some neat gift guides, and much more. As for gift ideas, the most perfect gift that you could possibly get for your loved one this year would be a Fracture. Not a broken bone! I am talking about a beautiful way to portray some of life's most beautiful moments printed in vivid color, directly on glass. Fracture is the most elegant way I have ever experienced to have my family's most precious photo memories displayed in my living room. Would you believe three of my oldest children were all married in less than 15 months of each other? My walls could easily get cluttered with bulky and unmatching picture frames, but thankfully I discovered Fracture. My children's wedding portraits look absolutely stunning. 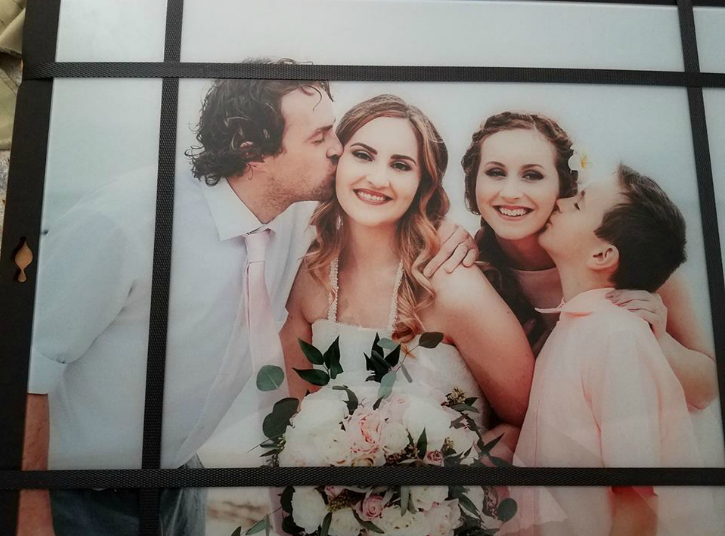 I am extremely impressed at how crystal clear and gorgeous the photos turned out when we had them printed up using Fracture's easy, fast and picture-perfect service. Below is my latest order from Fracture. Isn't it beautiful? 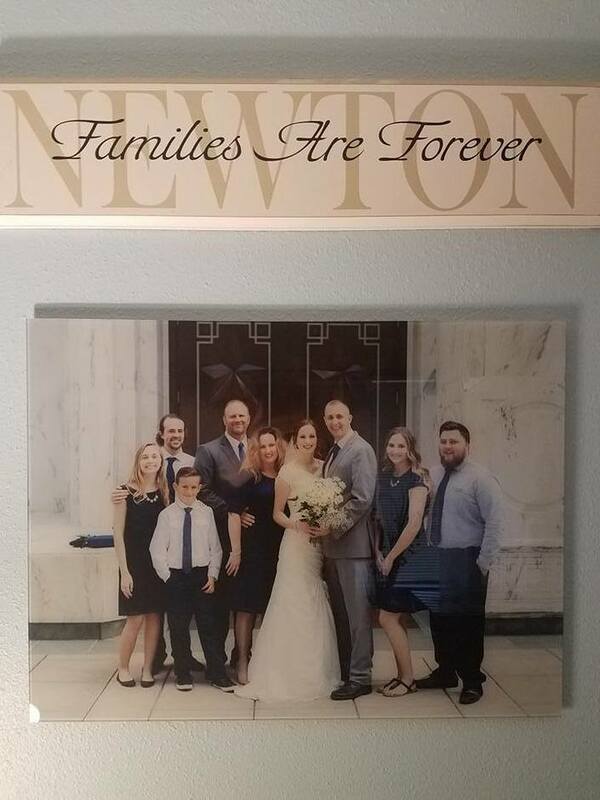 The family portrait above was taken at my youngest daughter's wedding. It features my entire family. Except, come January, there will be a new addition. My family is always changing and evolving, and so we will always have the need for Fracture to help us capture those moments, flawlessly. Every one of my orders from Fracture have been so easy and fun to do. All I had to do was upload my favorite photo to their website, and choose the size I wanted. The ordering process was simple, and the delivery of my finished product was extremely fast. I am always very pleased when I open my Fracture package. Enter to win! One winner will receive a $100 Fracture gift card.  Print up your Precious Life Mementos with Fracture and Also Enter to Win! Can you believe that three of my four children were married in less than a year? Needless to say, I have many precious family memories that I cannot wait to get printed up and onto my wall. I was looking for a company in which I could entrust my children's wedding photos and turn them into breathtaking works of art. By some miracle, I discovered Fracture. A Fracture is the future of photographic display! Fractures are different from traditional pictures and frames. Instead of printing on paper, we print directly on glass. Instead of separating the picture, frame, and mount, a Fracture combines all three into a beautiful, lasting, final product. DON'T MISS THIS! Fractured is having a sale! It will be the longest sale they run all year AND the biggest discount of the year (except for MAYBE Black Friday, but nothing is certain). 20% off with a code still TBD. Enter to win! Fractured is hosting a “Stay Cool” Summer Photo Contest through July 31st. Grand Prize is a $500 Fracture gift card! Click here for details!